The Dan River as it appeared after the coal ash spill Feb. 5, three days after the accident. Grisly images, depicting a badly injured wolf captured in north Idaho, have gone viral. 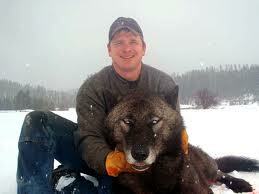 Posing alongside the animal is a grinning Josh Bransford, an employee of the Nez Perce National Forest. The pictures, which surfaced on the Web in March, continue to stir fierce debate over an already-emotional topic. And now, some environmental groups are asking for a formal investigation into possible animal cruelty. 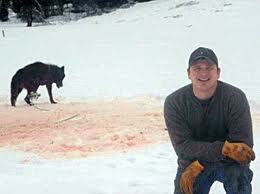 The Moscow-based Friends of the Clearwater and the Portland-based Center for Biological Diversity have banded together to ask Idaho Attorney General Lawrence Wasden, the Idaho Department of Fish and Game and the U.S. Forest Service to look into the incident and the images. The pictures were reportedly posted to the website trapperman.com. An accompanying description indicates that the wolf was trapped and shot by someone other than Bransford.